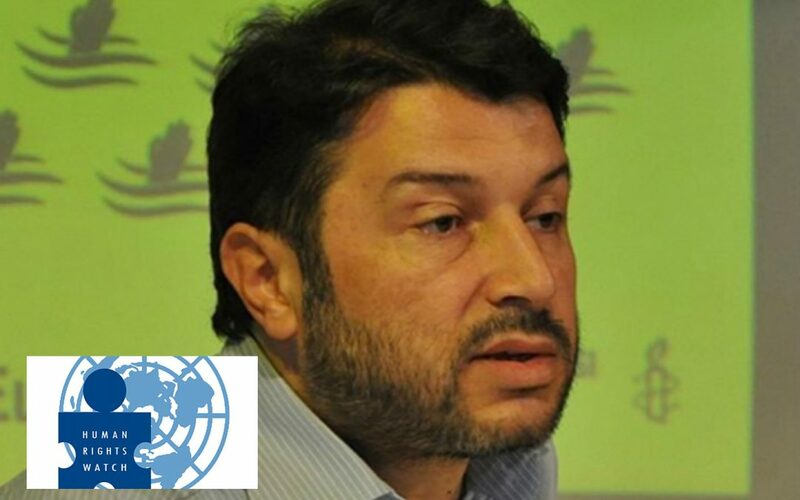 Human Rights Watch (HRW) on Thursday called on Turkish authorities to immediately release Taner Kılıç, chair of the board of Amnesty International’s Turkey section, who has been under detention since June 6. The anti-terror unit of the Izmir police on Tuesday detained lawyer and human rights defender Kılıç together with 22 other attorneys as part of a witch-hunt targeting people linked to the Gülen movement. Kılıç is a founding member of AI Turkey and has been chairman of its board of directors since 2014. He has also played a strong role in advocating for refugee rights as a lawyer and with domestic nongovernmental groups and others working on these issues. The European Union on Thursday expressed concern about the recent detention of Taner Kılıç. “We call on the Turkish authorities to clarify the charges swiftly, in line with the standards of the European Convention on Human Rights and the case law of the European Court of Human Rights,” the spokesperson for European Union External Action (EEAS) said in a statement published on their website. A military coup attempt on July 15 killed over 240 people and wounded more than a thousand others. Immediately after the putsch, the Justice and Development Party (AKP) government along with President Recep Tayyip Erdoğan pinned the blame on the Gülen movement. This article originally appeared in Turkish Minute on June 8.